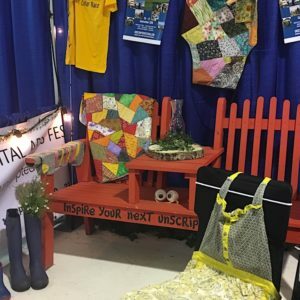 Join us at the Fish Fun and Folk Festival in the George Hawkins Arena, starting today at 2 pm, where we’ll be in the Unscripted Twillingate Digital Arts Festival Photo Booth. The annual Fish Fun and Folk Festival is the highlight of the Twillingate summer calendar, just as the Unscripted Digital Arts Festival has become when fall is at its peak here on the islands. Get your photo taken with friends and family – create new Unscripted Moments! Enter our DRAW for two tickets to the Saturday Soiree on 22 September that will feature NL premier band Rum Ragged. Look forward to seeing you in the George Hawkins Arena in Twillingate this weekend!